I do my best writing at 4 a.m. At least, that’s what I keep telling myself, night after night, when I start writing after hours of tossing and turning. I remind myself that studies say that smart people are typically night owls (as well as messy and profane—don’t judge me). By that logic, I must be friggin’ brilliant. 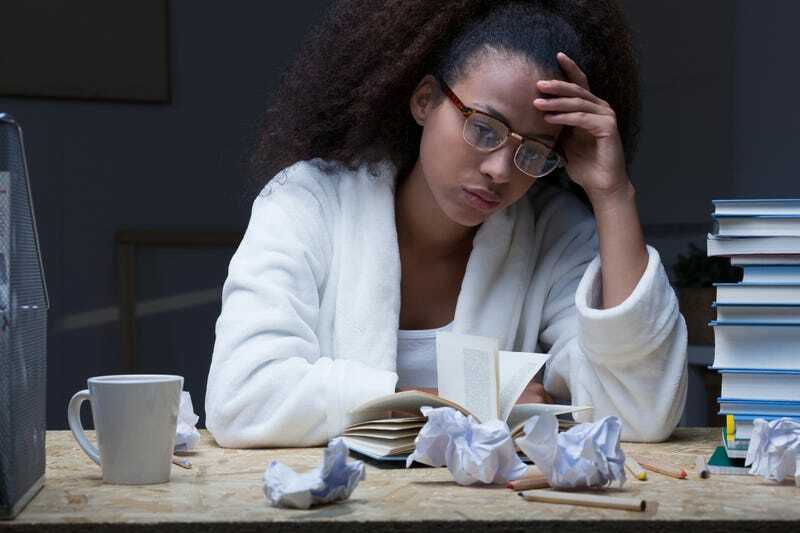 But there’s a new study in town: Boston University’s Black Women’s Health Study just received a three-year $2.2 million grant to study insomnia in black women. Where do I sign up? The SHUTi-BW program, if successful, could improve insomnia symptoms among many Black women across the country, which in turn could lower their risk of the many health problems related to poor sleep. SHUTi stands for Sleep Healthy Using the Internet—cutest acronym ever. The aforementioned health risks include heart disease, heart attack, heart failure, irregular heartbeat, high blood pressure, stroke and diabetes. Yay—and please pass the melatonin? The sad-but-unsurprising fact is that African Americans are at higher risk for insomnia as well. A 2010 study found that at 6 hours and 14 minutes, we average the fewest hours of sleep time on workdays among racial groups. What keeps us up at night? Concerns over personal finances and employment, two areas in which inequities have historically run deep, though there has been some recent—if misleading—improvement. At my own current average of four hours per night for the past few weeks (’cause I’ve been up writing, y’all), I can’t say that these findings didn’t concern me. After all, black may not crack, but it could collapse from exhaustion. Not to worry: I’ve got a doctor’s appointment on deck. But about this SHUTi study: Is there an app for that? If you’re like me and often find yourself on the shallow end of a good night’s sleep, here are a few invaluable tips to help you make it—or at least fake it—through the day. Sweet dreams!